Neighborhood Parcel is an Authorized FedEx International Shipping Center for Boston MA and the Merrimack Valley in Massachusetts. We have teamed up with the robust network of FedEx to connect our customers to the rest of the world. 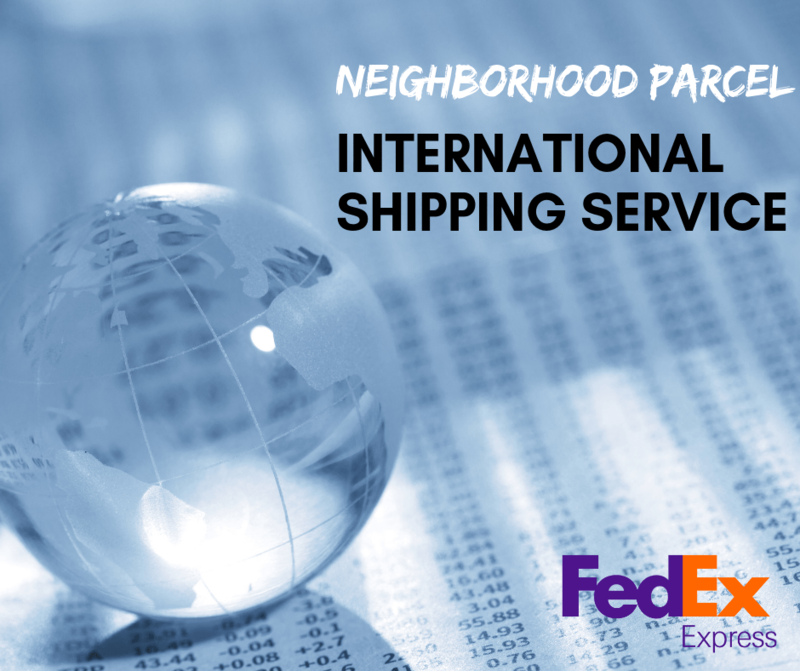 For over a decade, Neighborhood Parcel offered the international shipping services of FedEx, DHL, and UPS. We have a vast experience in shipping your valuables overseas and the knowledge of cost reduction to help you save money in the long run. Are you looking for FedEx Location Near You? Neighborhood Parcel is your FedEx Shipping Center if you live in Tewksbury, Dracut, Lawrence, Methuen, Haverhill, Andover, Chelmsford, Lowell, Billerica, and Wilmington MA. Internation shipping can be expensive but we can help you reduce the cost by as much as 40%! Using our volume discount we receive from FedEx. Optimizing your packaging to reduce cubic fees and volume. Assisting in Export Document preparation to avoid Customs delays. Expand your reach around the globe. Learn more about how to ship overseas, research shipping service options, create documentation and more by visiting our FedEx location or calling (978)851-0199.
Business owners around Boston, Billerica, Lowell, Andover, Dracut, Chelmsford, Wilmington, and Tewksbury MA should consider using FedEx international service for their overseas shipping needs. Some FedEx TV ads portray a less stressful working environment because employees save time and money with FedEx. While every shipment is different, individuals who know how the company works and can make appropriate use of the services they offer will see effective cost savings for their company. Why operate a shipping department when you can utilize Neighborhood Parcel to handle all your International shipping service needs. Eliminate overhead, addition pickup costs and hidden fees. After a decade in the industry, we know the exact network to use for every destination. FedEx is a very reliable network for delivery from the U.S To Santo Domingo, Haiti, Brazil, Latin America, Germany, France, Italy, the UK, Sweden, France, Spain, Portugal, North Africa, and Australia. While DHL has proven to be the most reliable network to Asia, the Middle East, and remote regions. FedEx has 10:30 AM service to most of Europe and has the most reliable online tracking system. For Businesses and residents in Boston, Tewksbury, Andover, Burlington, Chelmsford, Dracut, Lawrence, Methuen, Haverhill, Lowell, Billerica, Wilmington, Woburn, MA have a clear choice when it comes to international shipping services, they can rely on Neighborhood Parcel to navigate them through the complex world of international shipping and negotiate the best Fedex rate for their shipments. The company is also a Free Drop-Off location for all FedEx pre-paid returns for ground, Express and International packages. Neighborhood Parcel is your nearest FedEx Dropbox location for all your returns and shipping your pre-paid packages. The company is conveniently located at 1215 Main St, Tewksbury, MA 01876. This is the nearest FedEx shipping center that I can find near Lowell MA. The service is A+, the rates are a lot cheaper than the FedEx Off in Chelmsford, they can also help you process the export documents and help you track your shipment until it is delivered. I received daily emails of my FedEx shipment to the Dominican Republic. I also used them to ship medication to my mom in Haiti, the delivery is always on time. I highly recommend FedEx and Neighborhood Parcel for all overseas shipments. Whatever you do stay away from the Post Ofice In Lowell MA, they will take your money and lose your package! It happened to me twice this year.